India withdrew an arbitrary decree to crackdown on fake news, less than 12 hours after a tsunami of backlash. But the larger message from the Indian government engaged in headline and event management seems to be—“fall in line or else…”! In an effort to control the damage to the image of his government, Indian Prime Minister Narendra Modi on Tuesday ordered the Information and Broadcasting (I&B) Ministry to withdraw its order laying down new guidelines punishing journalists for fake news. No sooner had the ministry issued a statement than its press release regarding the same on Monday night was withdrawn. Why did the order on fake news draw nation-wide condemnation? To begin with, the decree was ill-conceived on several accounts. Journalists with a complaint registered against them would automatically have had their accreditation cancelled, till a regulating agency decided on the matter. This would have affected only 2000 odd journalists accredited by the Press Information Bureau, a department under the Information & Broadcasting Ministry. Since anyone can file a complaint, this, it was rightly feared, would open the route for misuse. The accreditation card is issued to a journalist by the Press Information Bureau after scrutiny by a committee comprising editors, journalists and representatives of professional bodies. The accreditation gives journalists access to government buildings and official events. Since the Modi government came to power, there is self-imposed censorship by the bureaucracy in sharing any news that can draw adverse criticism of the omissions and commissions of the government. Significantly, majority of fake news is created online by vested interests who want to propagate shifts in public opinion by manufacturing false stories. This includes political classes and parties who deploy social media-savvy youngsters to propagate these manufactured messages. Interestingly, these regulations would not have covered fake news creators. 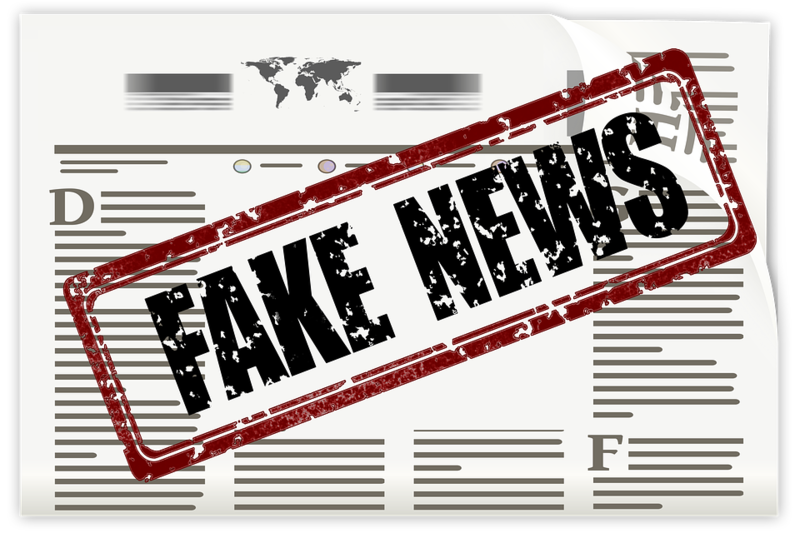 Fake news has to be defined and must only be regulated by and enforced by self-governing industry bodies, such as the Press Council of India, the Editors Guild and News Broadcasters Association, not by the Government. The move by the government was widely condemned. Rajdeep Sardesai, a celebrated TV journalist, of Headlines Today, said the circular was probably a trial balloon floated by the Modi government to crack down on journalists writing against the establishment. He said all news organisations should come together and probably form a watch dog to prevent fake news from being propagated. “Make no mistake: this is a breathtaking assault on mainstream media,” Shekhar Gupta, a prominent journalist, wrote on Twitter before the amendment was withdrawn. Veteran journalist H K Dua observed, “The press release is totally bogus and it has dangerous connotations. That means, the government wants to control the press. Who decides what is true and what is not true? The I&B ministry will decide what is true and not true? Maximum lies are planted by the government in the media…” Dua was editor-in-chief of national dailies, such as The Hindustan Times, Indian Express and The Tribune. Unlike inaccurate reporting where the reporters are taken to task by respective media organisations or by the Press Council of India or the courts through defamation laws, fake news is purposefully crafted by vested interests with a view to mislead. While there is no dearth of examples of fakes on India’s social networking sites, one that stands out is a message claiming that UNESCO had named India’s Jana Gana Mana as the best anthem in the world, which began circulating on Facebook in March 2016. This rumour was a reiteration of one that originated in 2008, when it was widely shared via e-mail. The UN body in question has never declared anything of this sort, involving India or on any other country. This is the second time the Modi government has blinked on a media-related issue. The first was in November 2016 when the ministry put on hold its order to shut down NDTV India for a day in the face of a strong and united opposition by the media. Much like Narendra Modi, the Rajiv Gandhi government had to withdraw the Defamation Bill in 1988. The Bill was criticised as an instrument for bludgeoning free speech by the government. The then Prime Minister Rajiv Gandhi intervened to withdraw the Bill 30 years ago. Worse the Modi government’s proposed decree drew criticism from the Vishwa Hindu Parishad (VHP), an affiliate of the Rashtriya Swayemsevak Sangh (RSS), the ideological mentor of the ruling Bharatiya Janata Party (BJP). It condemned the Centre’s move to amend the guidelines for accreditation of journalists in case of fake news, saying that the step amounted to an ‘’undeclared emergency”. Stating that the media was the fourth pillar of democracy, VHP international working president, Pravin Togadia, said curtailing their voices in any name was dangerous to citizen’s rights. The Opposition parties may revel in the Government’s discomfiture. But blaming the opposition for the government’s failure is a stale, overused and repetitive tactic, which is cutting no ice with the people. In the past several weeks the Modi government has faced farmers’ protests over minimum support price, students’ ire over the leakage of question papers before exams conducted by the Central Board of Secondary Examination, Dalit anger over the dilution of the Scheduled Castes & Scheduled Tribes (Prevention of Atrocities) Act, and so on. It cannot be denied that the decree on Monday gave much-needed spin-off for the headlines-conscious government from the furore over events, such as non-functioning of the Parliament. Often bogged down by legislation and rules, which muzzle the freedom of the media, India has never ever fared well in the World Press Freedom Index. But now it is not only the media in India but freedom of expression, an essential feature of democracy, that will face increasing challenges in the days to come.